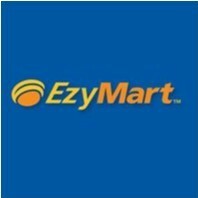 EzyMart Sydney joined our Mission to help provide access to “Clean Water for All by 2030”. This Mission was initiated by the United Nations. A big thank you to EzyMart Sydney’s team and customers for joining this extremely important mission on 05 February 2018. In 2001, Founder Maher Magableh leased his first store in Bondi Beach – New South Wales. What started out as a single convenience store back then has grown and evolved into one of the leading convenience stores operator in Australia. Today, our company operates over 200 locations throughout New South Wales, Queensland, Victoria, and South Australia. While maintaining our offering of top quality products at competitive prices, we have managed to establish a reputation as a destination for freshly prepared food such as sandwiches, salads, and much more. We are also known as a place where consumers can find healthy snack options, including fresh fruit and many gluten free and organic products. Our business model is built around the costumers needs and desires. Consequently we have chosen to embrace and apply the Customer Comes First methodology in all of our stores. Which as a result, has created a very strong reputation for our passion for customer service.